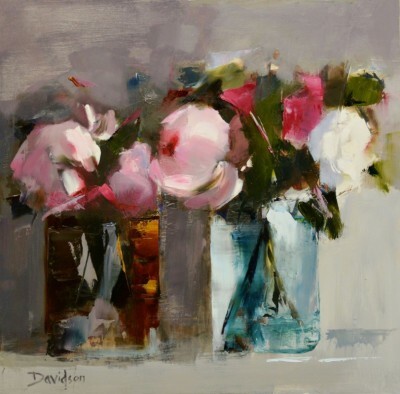 Right now we are waiting for new Mary DAVIDSON Art to arrive at the gallery. In the meantime, here is a selection of the artist's archived art work which has featured at Red Rag Art Gallery. 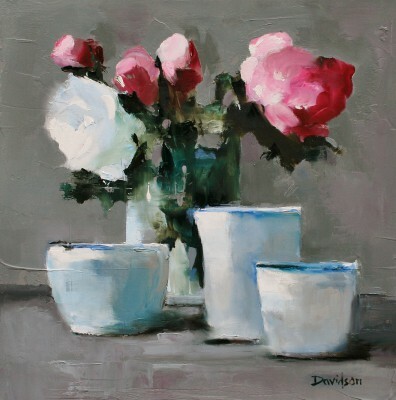 If you wish to register to receive updates and alerts when new art work from Mary DAVIDSON arrives select this link. Mary Davidson was born in Dundee and lived in Australia for a few years as a child. She has been living and working in the Glasgow and Edinburgh areas since 1986. Having drawn and painted most of her life in the early 90's Mary attended Glasgow School of Art on the Continued Learning Programme. 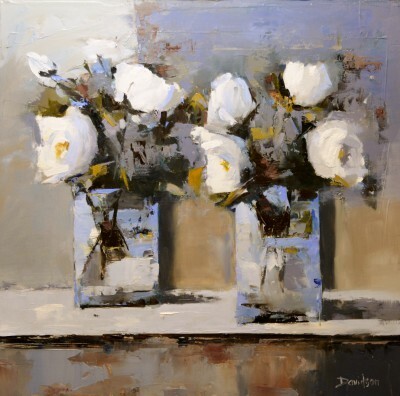 Mary Davidson became a full time professional artist in 1994 and is now established as a successful contemporary artist. Mary's art works are very much in the tradition of the Scottish colourists. 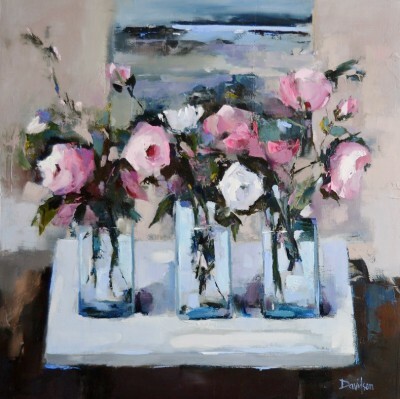 She works mostly in oils using brushes, knives, fingers, indeed almost anything to hand, to produce the desired result. 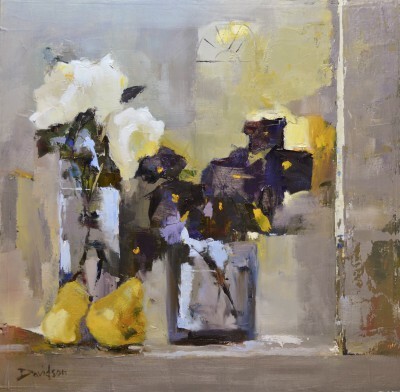 Mary Davidson paints a range of subject matters in an expressive manner with a strong sense of light and colour. 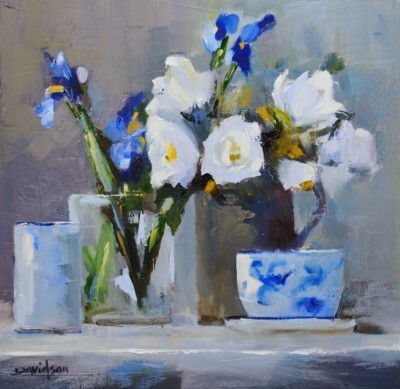 She is equally inspired by: the shorelines of the West Scottish Coast; landscapes; interiors and as a keen gardener by still life flower studies. 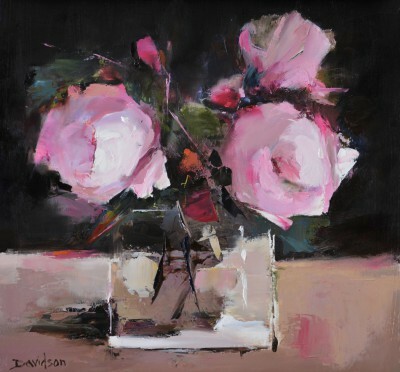 In 1995 Mary Davidson was elected an artist member of the Paisley Art Institute (PAI) and the following year was accepted into the Glasgow Society of Women Artists (GSWA). 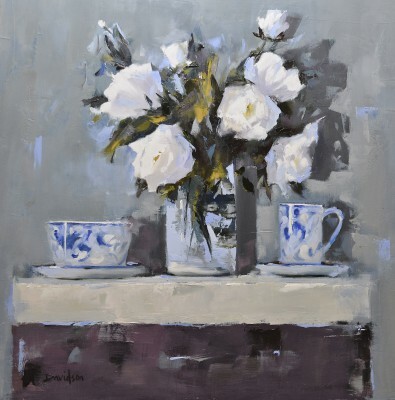 Her paintings have been accepted for exhibition at the Royal Glasgow Institute (RGI), the Royal Scottish Society of Painters in Watercolour (RSW) and the Laing Exhibition. 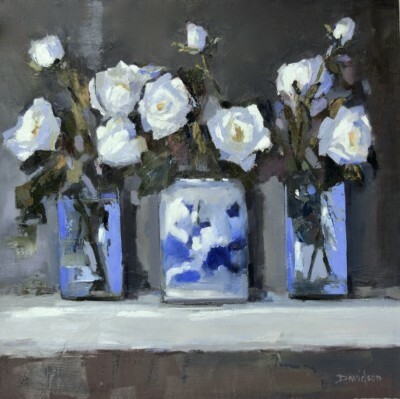 She has exhibited in group art exhibitions throughout the UK, the South of France and New York, and has also had several solo art shows. 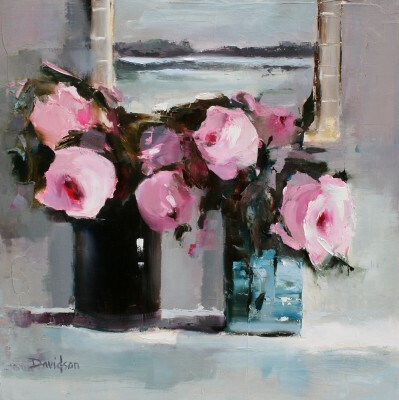 Mary Davidson's paintings are in numerous private and public art collections including Vanity Fair in New York, the Duke of Bedford, Grays School of Art, East Dunbartonshire Council and Cala Homes." In addition to Red Rag Art Gallery Mary Davidson art work has been exhibited at other leading Scottish Art Galleries. 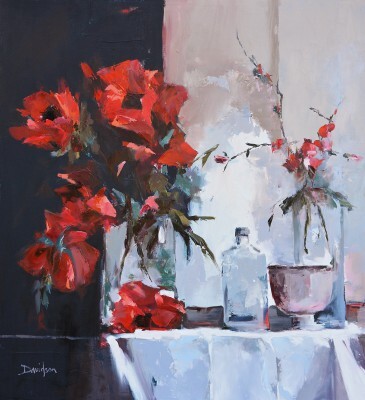 Each painting at Red Rag is sourced from the Mary Davidson artist studio and like all Red Rag Modern art and Contemporary art it can be shipped worldwide.